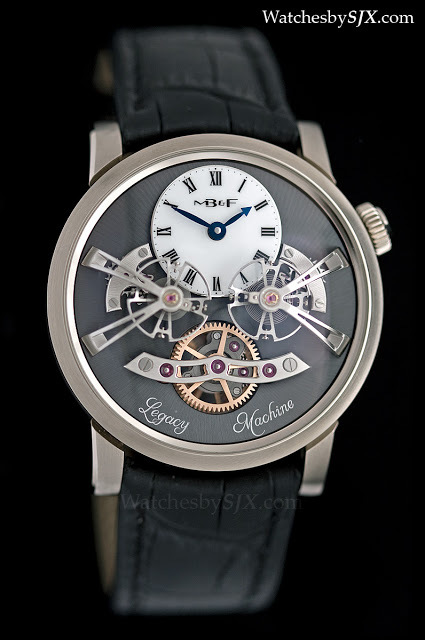 Equipped with twin escapements linked by a differential, the MB&F Legacy Machine 2 is inspired by the work of Ferdinand Berthoud and Philippe Dufour, with Kari Voutilainen in movement design and finish, and Jean-François Mojon as constructor. 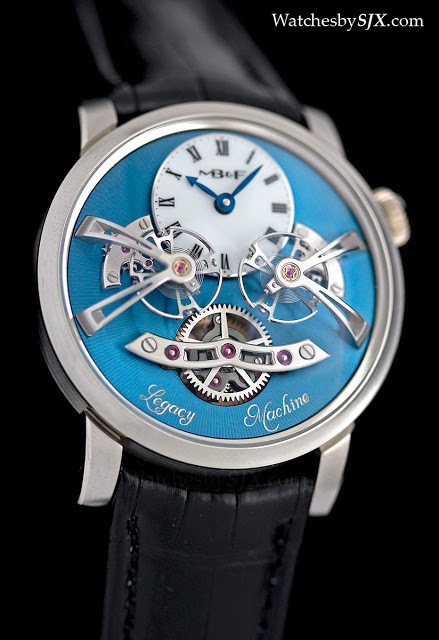 This is the second of the Legacy Machines, which as Maximilian Büsser puts it, are what his horological machines would have looked like if they were conceived in the nineteenth century, or in this case the eighteenth. 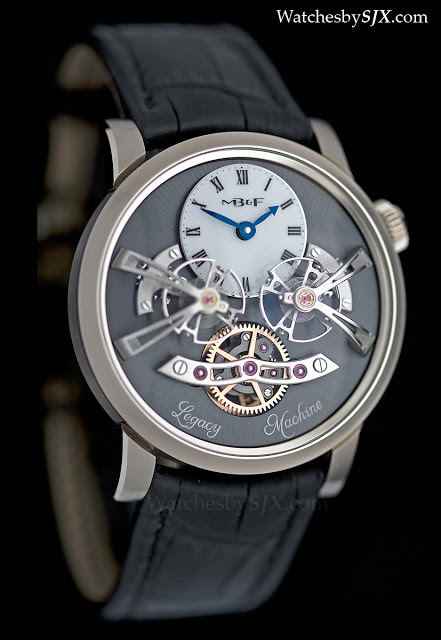 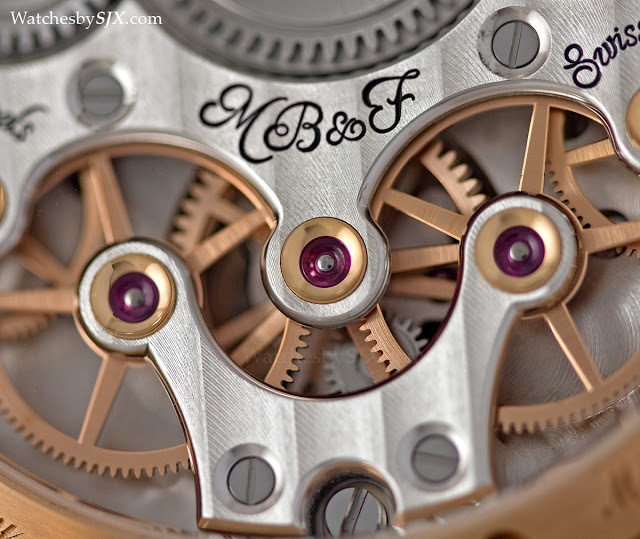 The MB&F LM2 is the most impressive machine in terms of traditional watchmaking, namely finishing and complication. 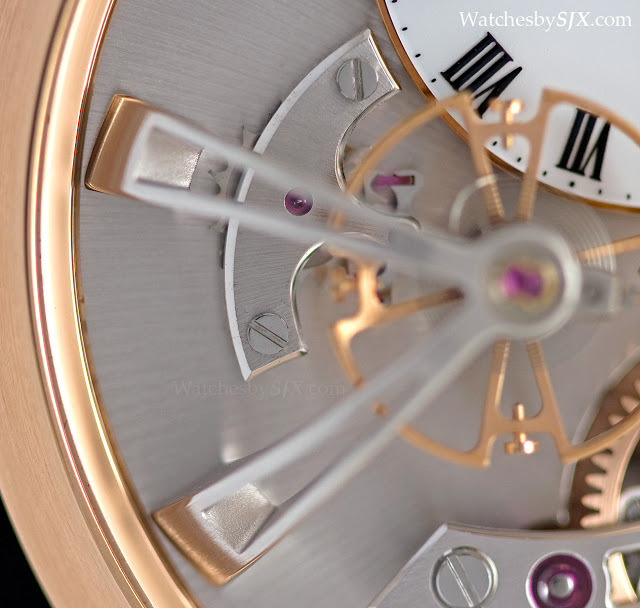 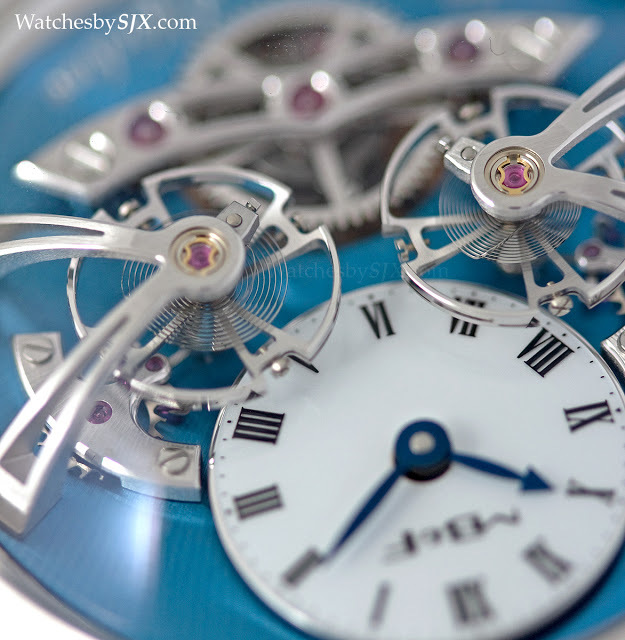 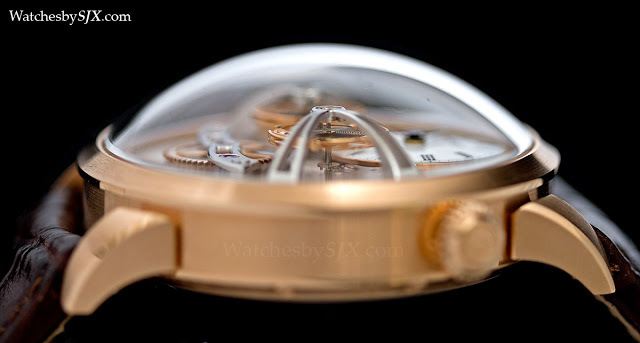 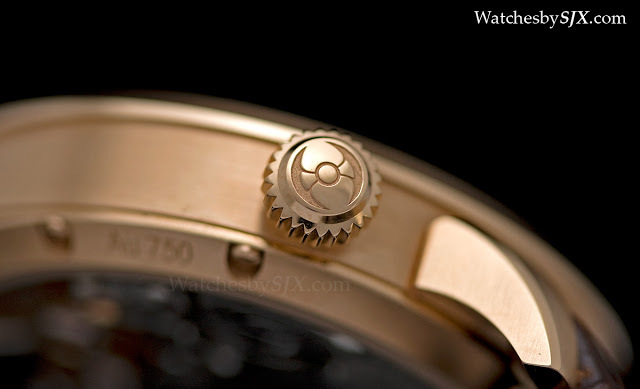 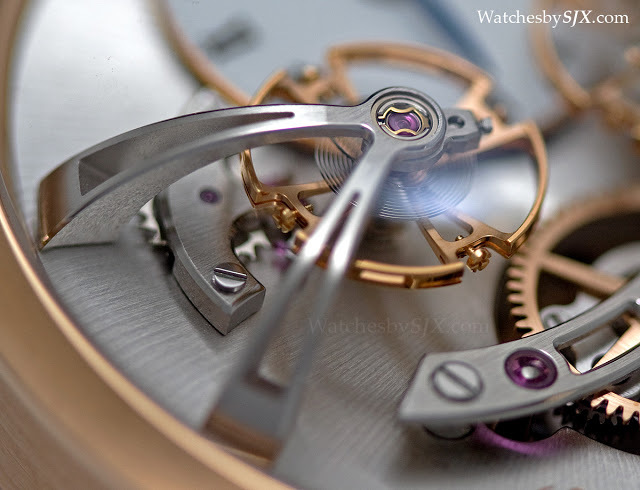 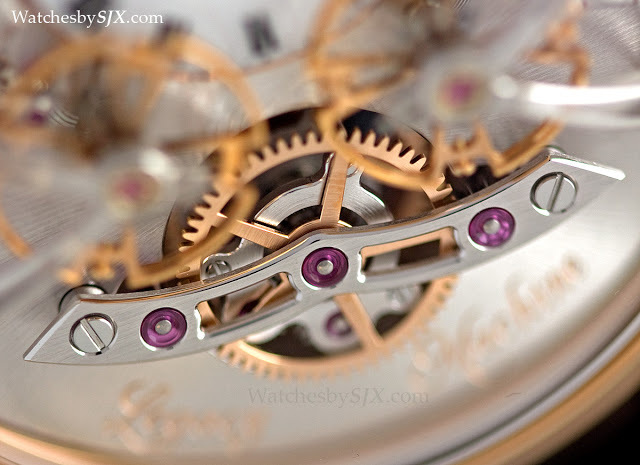 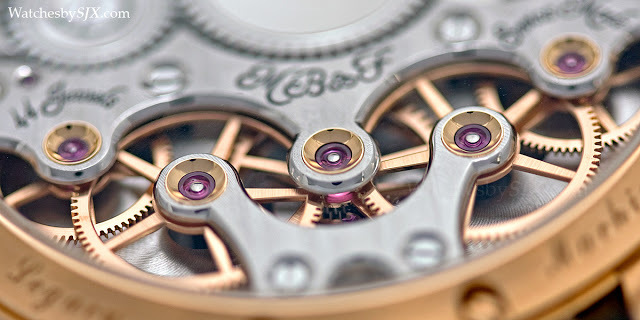 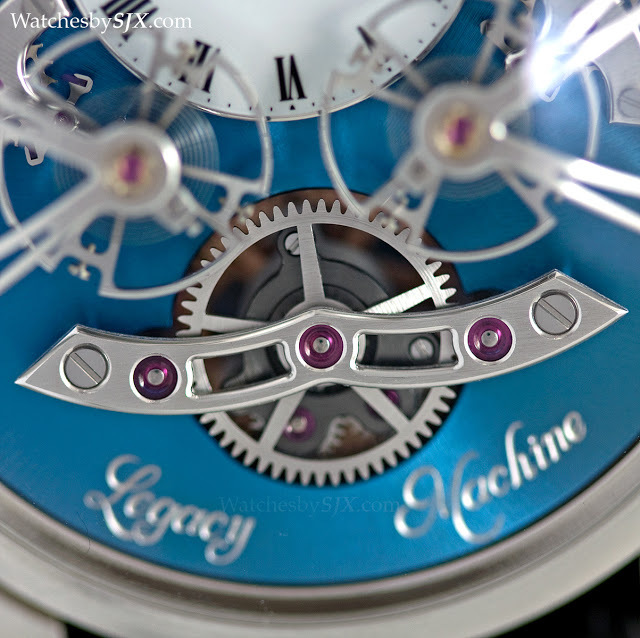 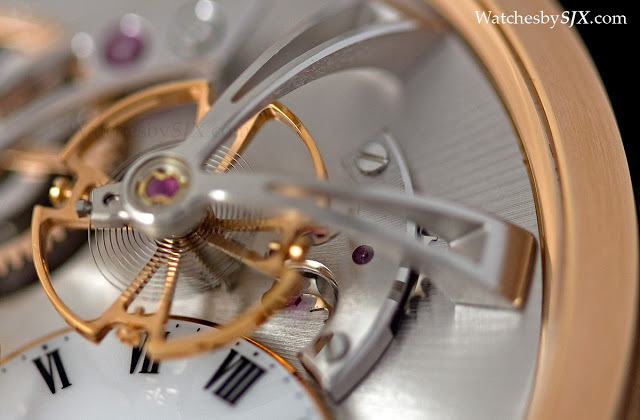 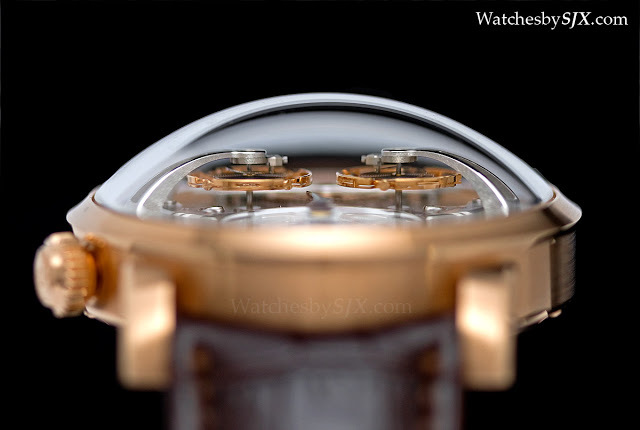 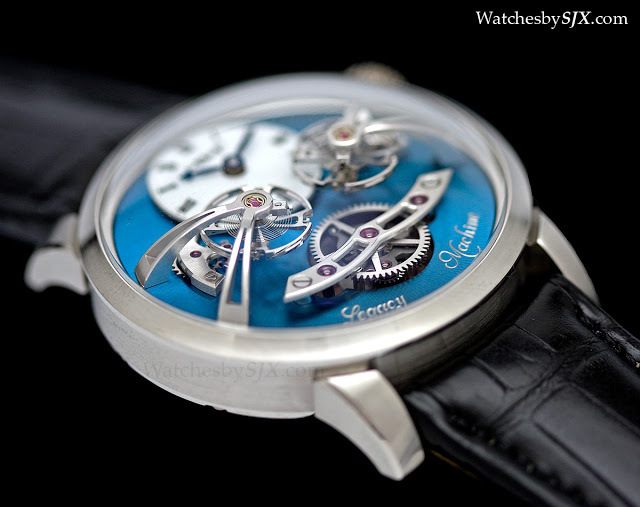 Underneath an enormous domed sapphire crystal sits the base plate of the movement. 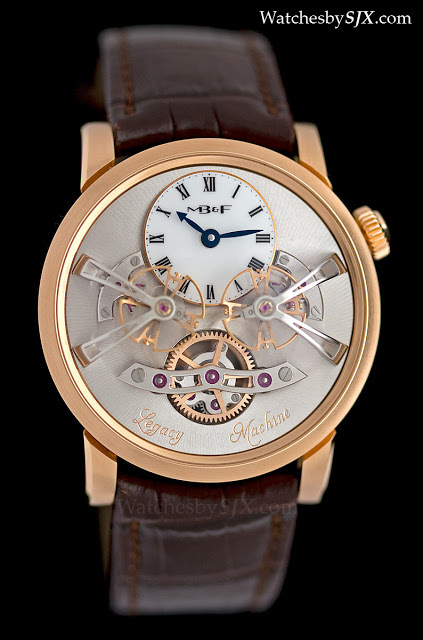 The LM2 tells the time on the white lacquered sub-dial at 12 o’clock, and below that, raised about the sub-dial, are twin oversized balance wheels each measuring 11 mm in diameter. 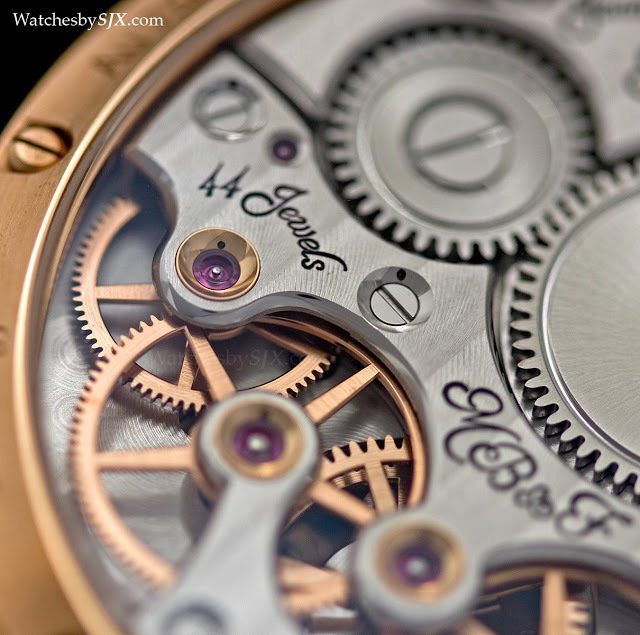 Both have four adjustable weights for regulation and a Breguet overcoil hairspring. 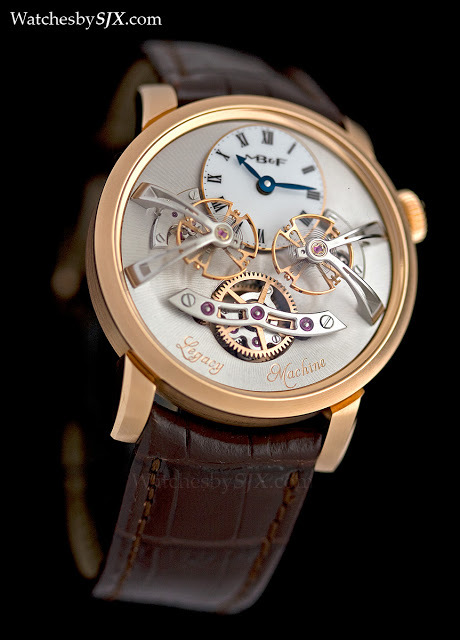 Each balance is held aloft by a graceful bridge reminiscent of the wrought iron structures of the nineteenth century. 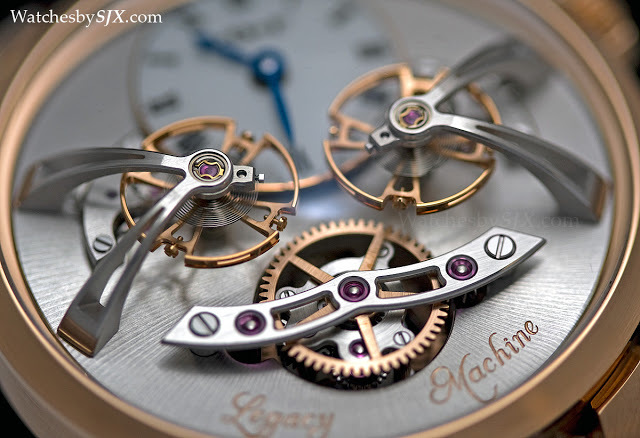 And below each balance wheel sits the escapement, with the escape wheel and pallet fork visible. 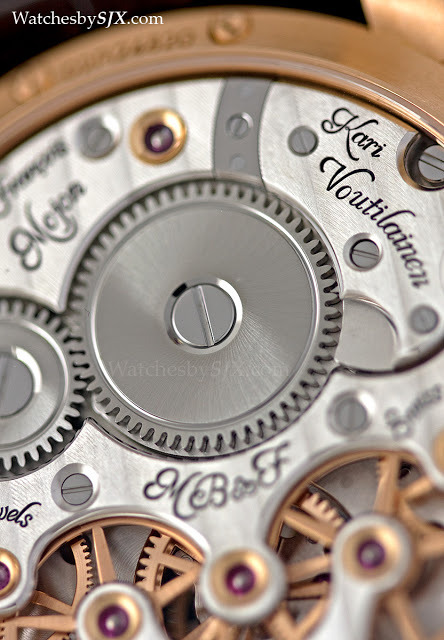 Both balance wheels are linked by a differential – a mechanical linkage with no resonance effect – visible under the bridge at six o’clock. 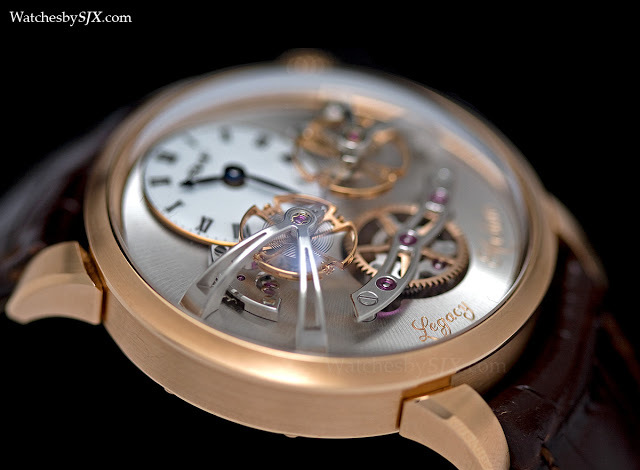 The time displayed is the result of both escapements, averaged out by the differential. 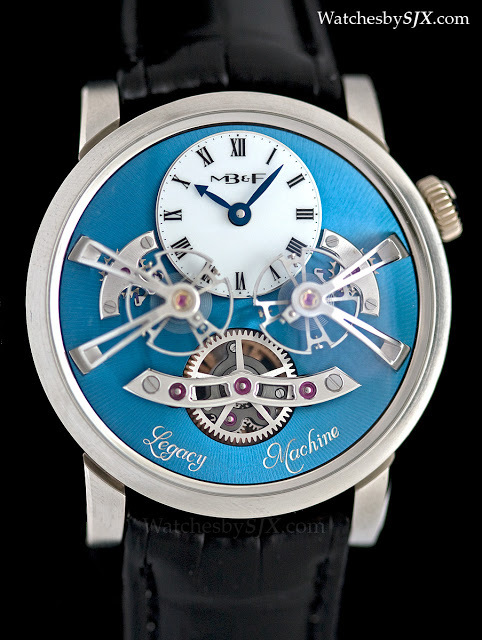 While beat error and amplitude issues in one balance will be alleviated by the effect of the other, positional errors and the influence of gravity will not, since both balance wheels are on the same plane. 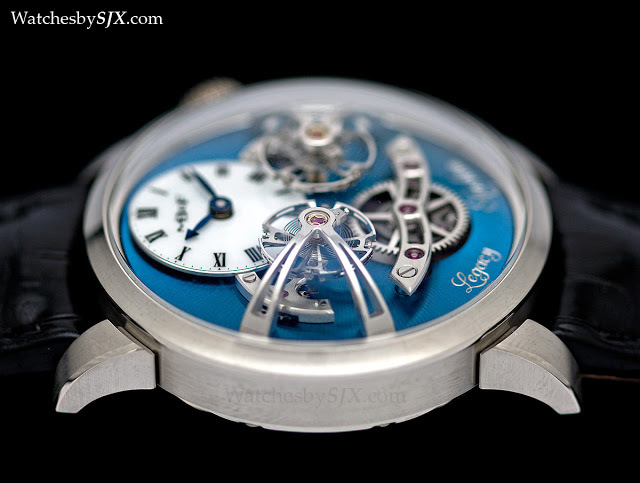 The other two multi-balance wheel watches of 2013, the Greubel Forsey Double Balancier 35° and the Roger Dubuis Quatuor, both have inclined balance wheels to account for positional errors. 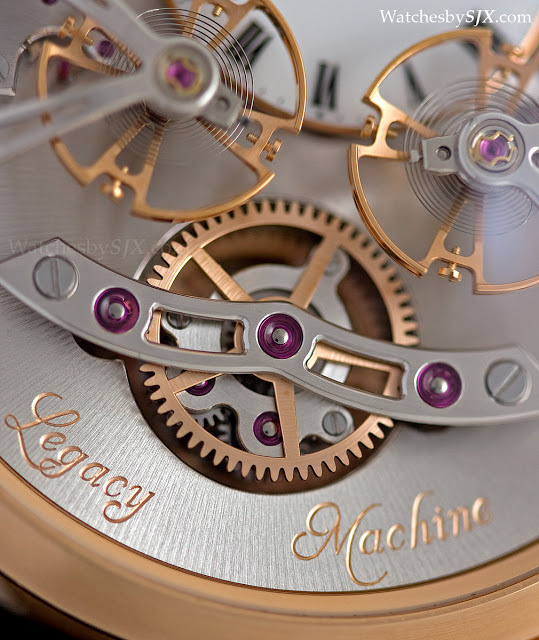 The twin regulators of the LM2 are inspired by the work of Ferdinand Berthoud, one of the leading horologists of the eighteenth century, as well as the work of the two greats who followed in subsequent decades, Abraham-Louis Breguet and Antide Janvier. 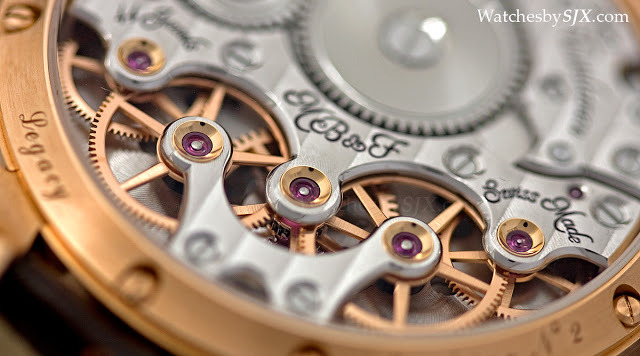 All of these early double balance clocks were conceived to deal with the poor precision of components and the inadequate lubricants of the time. 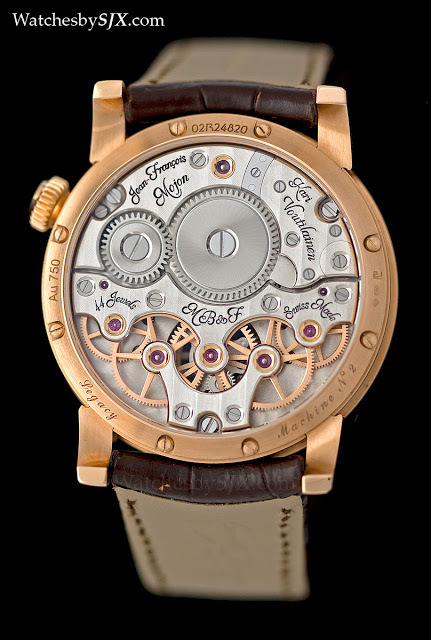 In the twentieth century, students at the Ecole Polytechnique de la Vallée de Joux (EPVJ) created a series of dual regulator pocket watches, linked by a differential, just like the LM2. 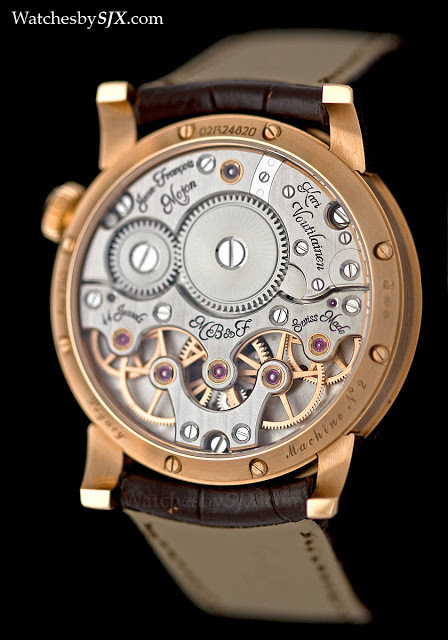 It is thought only 10 of these were made in the thirties. 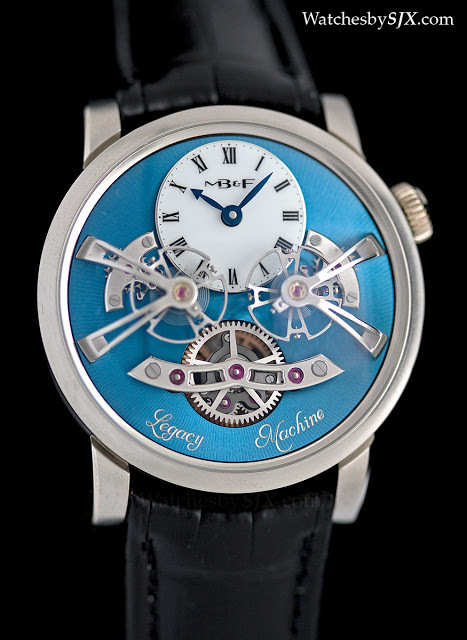 And in 1996 the first wristwatch of modern times using this concept was unveiled by Philippe Dufour, himself partially inspired by the EPVJ pocket watch. 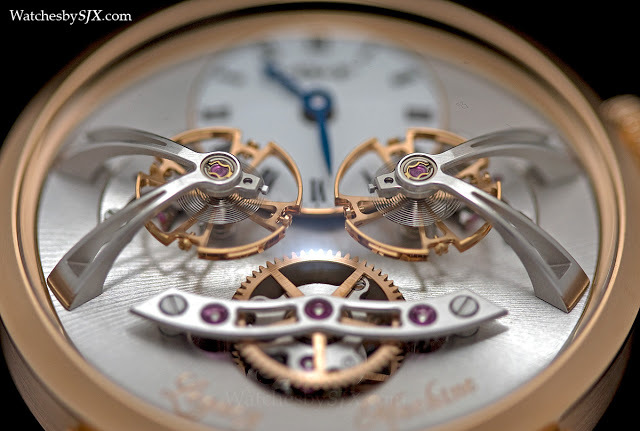 The Dufour Duality still remains one of the most significant timepieces of contemporary watchmaking, and it is in these hallowed footsteps that the LM2 treads. 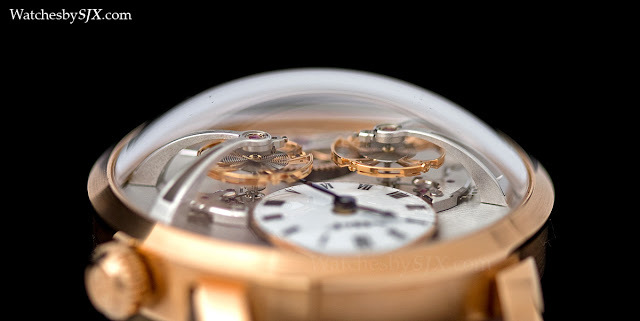 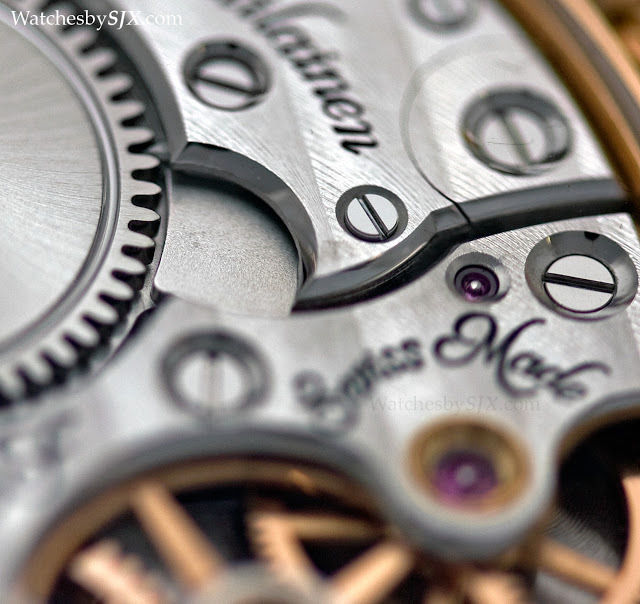 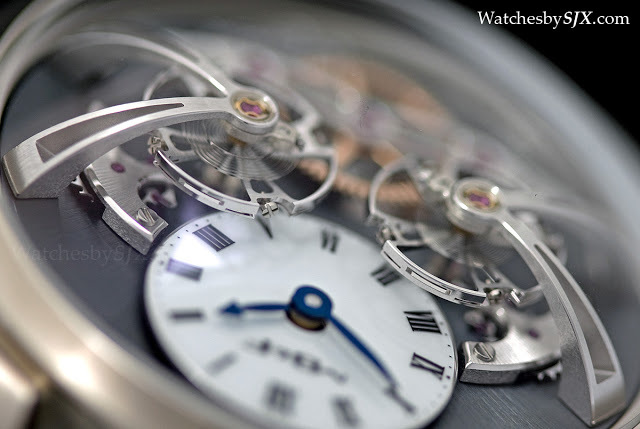 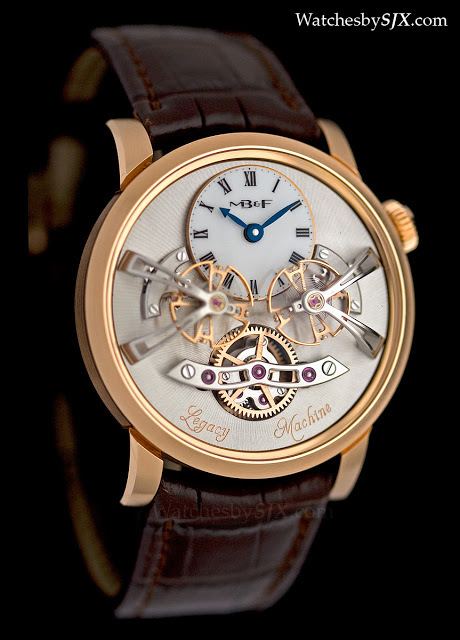 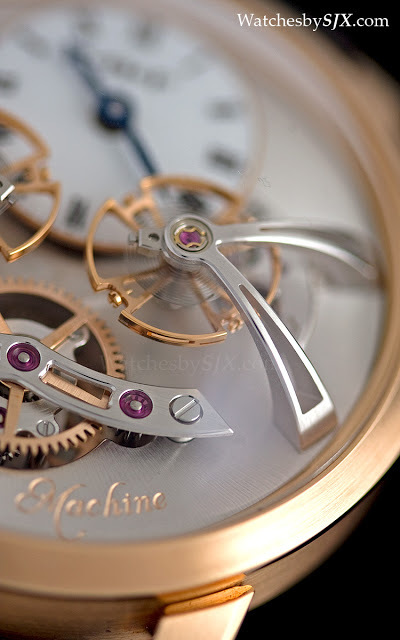 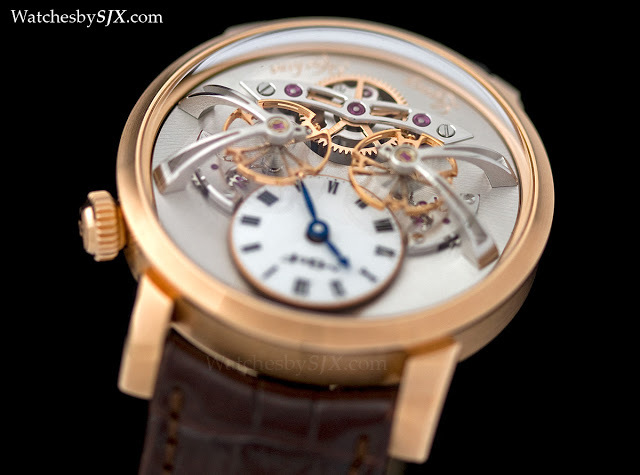 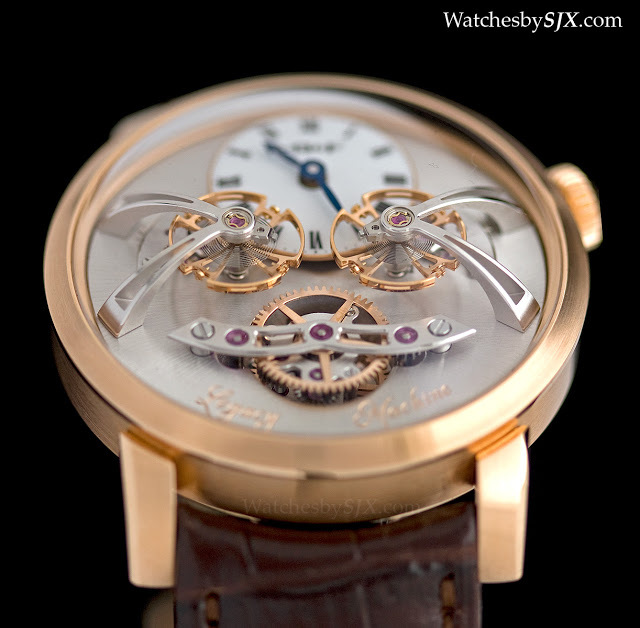 The movement of the LM2 was designed by Kari Voutilainen and constructed by Jean-François Mojon of Chronode, both of whom were also responsible for the LM1. 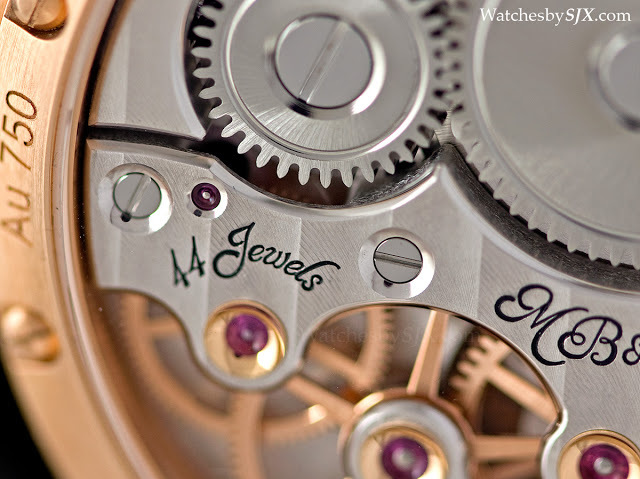 Like the LM1, the movement decoration is traditional in style, and finely done. 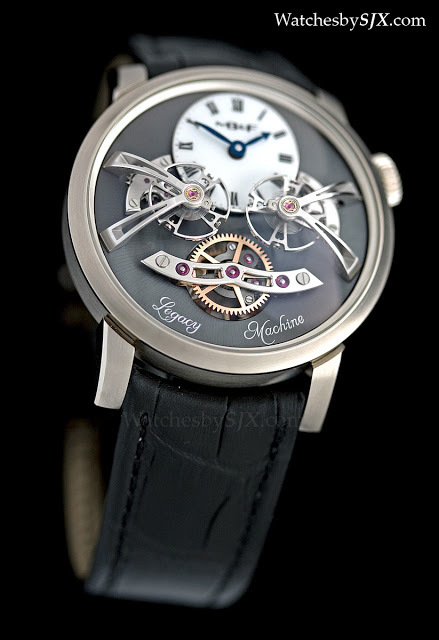 Visually the movement is beautiful; the nearly symmetrical layout, bridge shapes and decorative elements are cohesive and attractive. 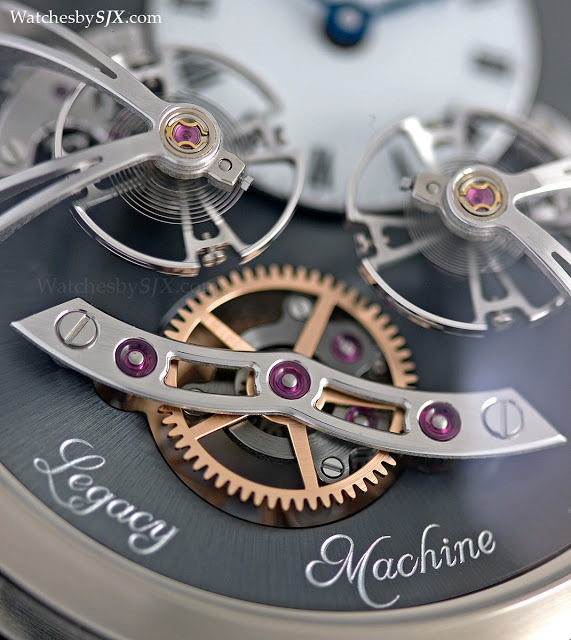 But the LM2 has a slight edge in finishing because of the more complex bridge shapes. 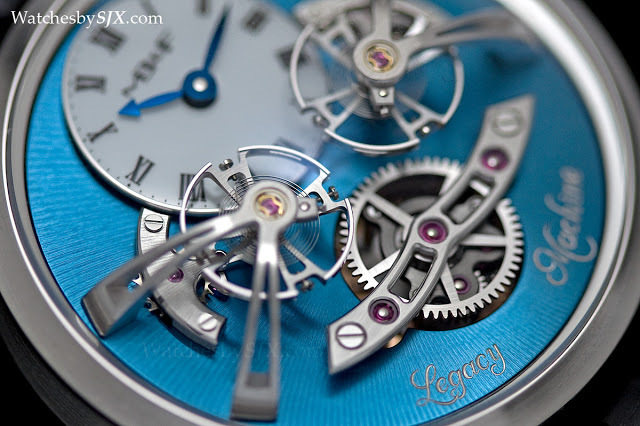 Notably, the anglage, or bevelled edges, of the bridges also seems wider and more lustrous on the LM2 than on the LM1. 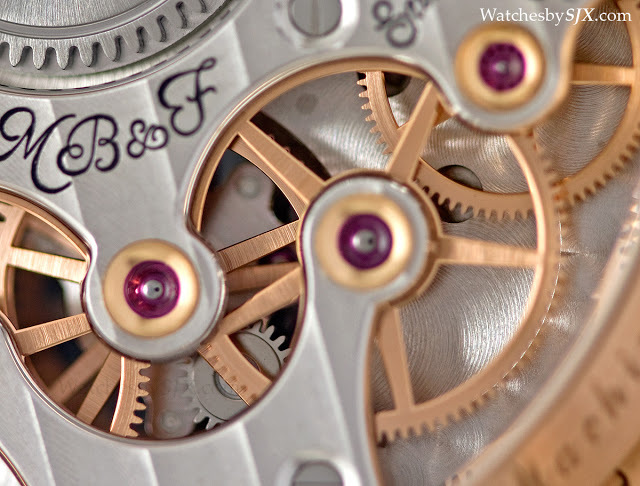 Twin gear trains for each of the escapements are exposed on the lower half of the movement, each running outwards. 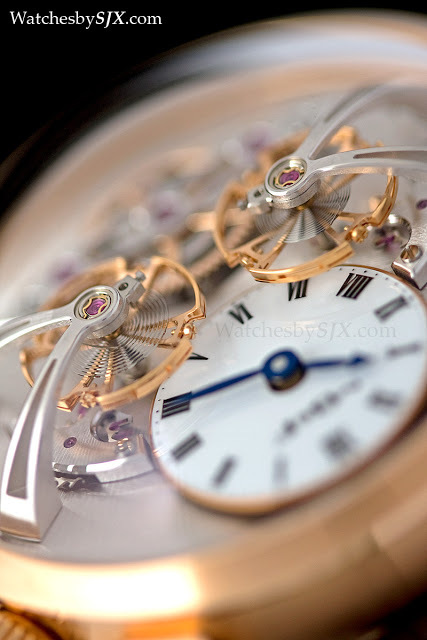 Each jewel, and they are large jewels, of both wheel trains are set in countersunk gold chatons. 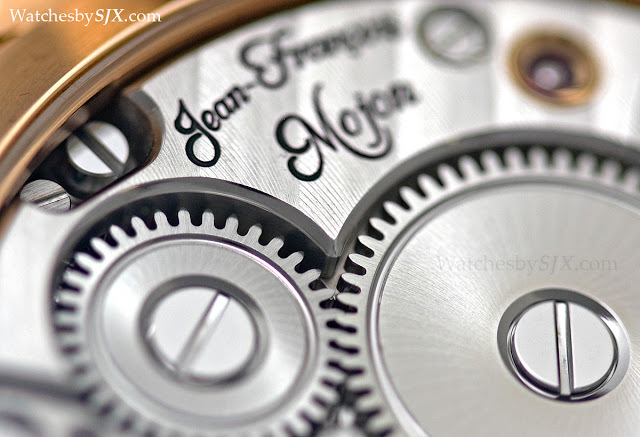 And at the centre top is the mainspring, which is linked to both gear trains. 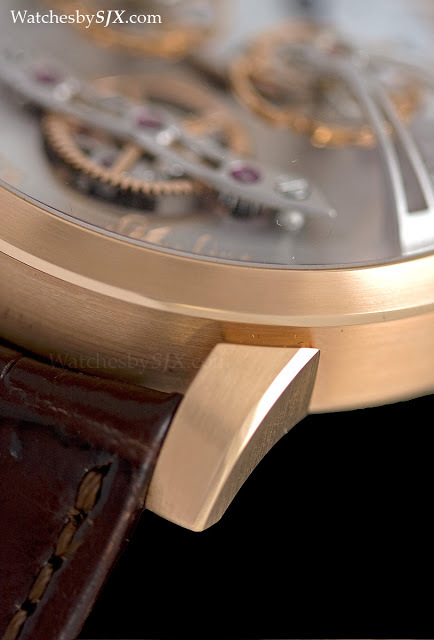 One notable feature is the barrel bridge, which has been cut away at a corner to show off the gorgeous bevelling. 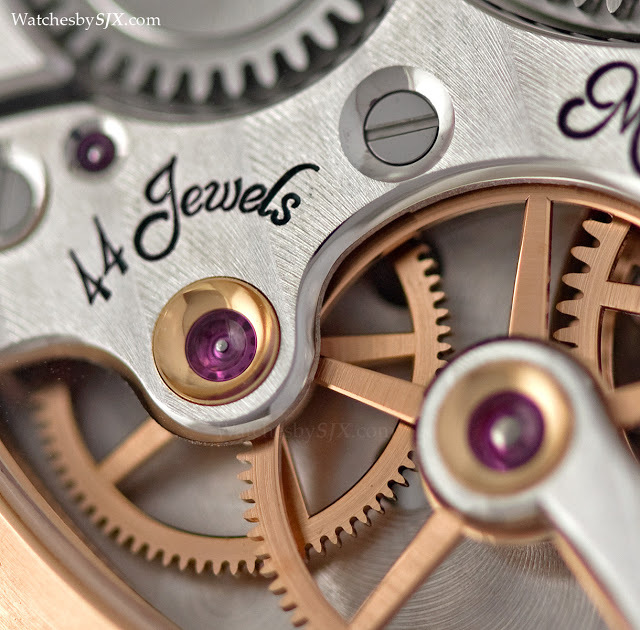 The LM2 case is 44 mm wide and 20 mm high, giving it a solid profile. 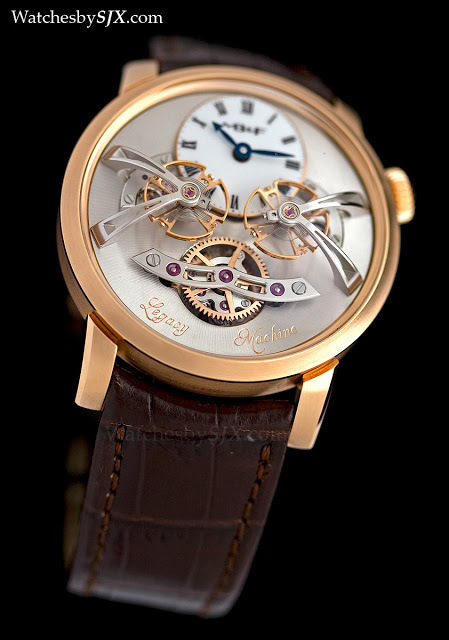 It is available in red gold, as pictured above, or white gold. 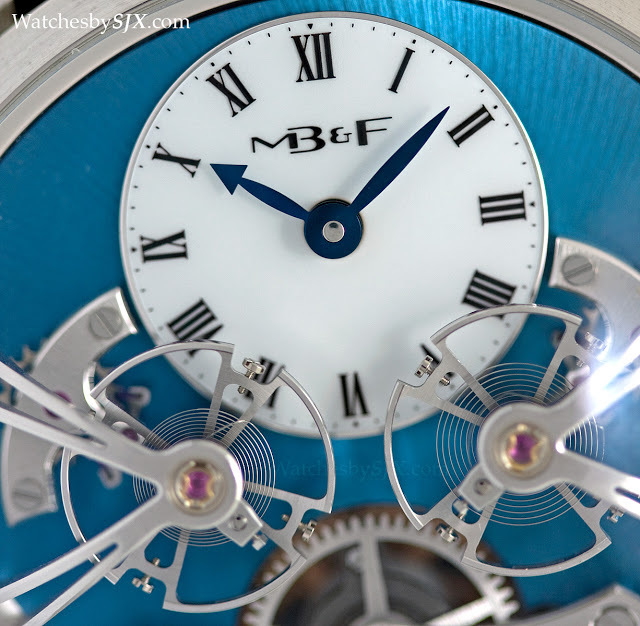 The LM2 is also available in an 18 piece limited edition in platinum with a blue dial, the first time MB&F has used platinum for any of its timepieces. 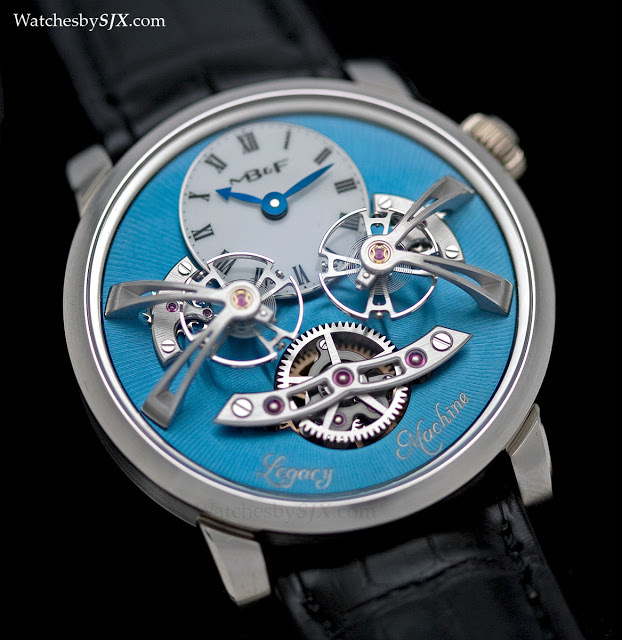 Though the dial is strikingly, and disconcertingly, blue at first glance, the colour grows on you.